Since its accession to the World Trade Organization in 2001, China’s share in the world trade has risen rapidly. The country has become the world’s leading exporter, surpassing Japan in 2004, the United States in 2007, and finally Germany in 2009. It is also one of the largest importers in the world, second only to the United States. Will this increase in China’s trading power translate into monetary power? The growth of China’s trade contributes to increasing the international use of its currency, the renminbi (RMB). However, China will need further opening and development of its financial markets in order to achieve a significant degree of RMB internationalization, especially if it continues to run large current account surpluses. 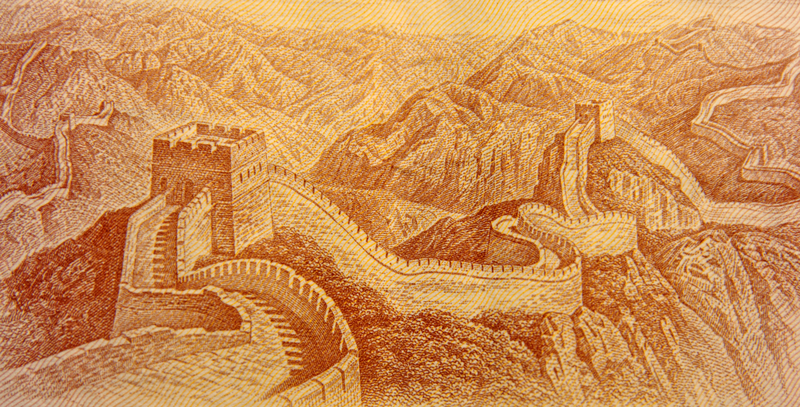 The Chinese authorities have enthusiastically pushed ahead with the internationalization of the RMB since the global financial crisis of 2008/9, which exposed China’s vulnerability to the substantial dangers inherent in the current US dollar-dominated international monetary system, such as the risks of holding a huge amount of dollar reserves. A pilot program for cross-border trade settlement in the RMB was launched in 2009, and two years later, RMB trade settlement extended to cover all cross-border trade. The issuance of RMB-denominated bonds in offshore markets, including Hong Kong, has also been allowed. The People’s Bank of China established bilateral local currency swap agreements through which foreign countries can acquire RMB to finance imports from China with 33 foreign central banks (one being the European Central Bank) by the end of 2015. The Renminbi Qualified Foreign Institutional Scheme (RQFII), which permits licensed foreign investors to invest in equities and bonds in China using offshore RMB and thereby increases foreigners’ RMB investment opportunities, was introduced in 2011. RMB clearing banks that offer clearing services for RMB transactions were built in 20 countries by the end of 2015. The Cross-border Interbank Payment System (CIPS), which offers clearing and payment services for financial institutions conducting cross-border and offshore RMB business, was also introduced in October 2015. Largely owing to such deliberate policy measures, the international use of the RMB has grown dramatically in recent years. In 2015, 23% of China’s total imports and exports were settled in the RMB. The RMB was ranked as the world’s fifth international payments currency in October 2015, a remarkable rise from 35th in October 2010. The currency’s rank as a denomination currency for international debt securities also jumped to sixth worldwide in the first half of 2015, from 21st five years earlier. Furthermore, in October 2016, the RMB was included in the elite currency basket of the Special Drawing Right (SDR)—an international reserve asset issued by the International Monetary Fund—along with the dollar, euro, yen, and British pound, representing a milestone in the RMB internationalization process. While the active government policies perhaps explain the sudden acceleration of RMB internationalization after the global financial crisis, it should be noted that a remarkable rise in China’s standing in global trade and economy has formed the fundamental economic foundations for RMB internationalization. For a currency to be used widely throughout the world, its use should be convenient. There should also be strong foreign confidence in its value. Convenience in using a currency is affected partly by the scale of the issuing country’s global transactional networks, as the benefits of using a certain currency grow with the number of other parties using it. Most research on currency internationalization indeed points out that a country’s share in the world trade is one of the major economic determinants of currency internationalization, along with its economic size and the level of financial market development. In fact, for its inclusion in the SDR currency basket, a currency must meet the “export criteria”—meaning that the issuing country should “play a central role in the global economy”—as well as the “freely usable” condition. It is also worth noting that one of the Chinese authorities’ major strategies for promoting RMB internationalization has been to boost the use of the RMB in trade settlements. However, whether China’s large current account surpluses are conducive to RMB internationalization is controversial. The Chinese current account surpluses reached 10% of GDP in 2010. Although their volume has significantly declined since the 2008/9 crisis, China’s current account surplus still accounted for 2.7% of GDP in 2015. A number of scholars argue that China’s regular large current account surpluses hinder the internationalization of its currency. They stress that foreigners have to accumulate RMB to use them and that China therefore has to run current account deficits in order to supply its currency to the world. The United States has indeed run a huge amount of current account deficits, particularly since the 1980s, with the deficit to GDP ratio reaching 6% in 2006. Does then China also have to run a current account deficit to achieve a substantial level of RMB internationalization? This may not necessarily be so, in a strict sense. It is true that a currency has to be supplied to the world in order to be used internationally. Yet there is another channel through which a currency can be supplied to the world: the capital account. Although the British pound was the leading international currency in the 19th and early 20th centuries, the United Kingdom had run current account surpluses during most of that period (due mainly to income account surpluses despite trade account deficits). The United States also experienced current account surpluses throughout the 1940s to 1970s, when the dollar firmly established its status as the dominant international currency in the post-war era. In addition, note that despite South Korea’s chronic large current account (as well as trade account) surpluses against China, the use of the RMB in its trade settlement has soared from a mere 11.6 million dollars at the end of 2007 to 2,875.4 million dollars in the first quarter of 2016 (although the RMB’s share is still marginal, accounting for only 1.5% of total exports and 1.2% of total imports). In fact, a country’s current account surplus is likely to help the internationalization of its currency, particularly in the early stages of internationalization, as it helps strengthen foreign confidence in the value of the currency. In order for the RMB to gain widespread acceptance, foreigners must believe that it will retain its value into the future. They would be reluctant to hold the currency if China were running chronic current account deficits, expecting a decline in its value. Indeed, the recent depreciation of the RMB appears to have had an adverse impact on RMB internationalization by lowering foreign interests in holding the currency. Given these considerations, China’s current account surpluses are likely to work in favor of RMB internationalization, at least in its early stages. Nevertheless, it should also be stressed that a sufficient supply of RMB through the capital account channel will be feasible only after China has achieved an extensive degree of capital account convertibility and the substantial development of its financial markets. To supply RMB for foreigners to use, the country needs to further open and develop its financial system, especially in the current situation where it is running vast current account surpluses. In this regard, despite unprecedented capital outflows in recent years, the Chinese authorities appear to be determined to pursue capital account liberalization, although they have been adopting a gradual approach in order to minimize the risk of financial instability. Yet, it remains to be seen whether their actions will actually match their words, given that such financial reform ultimately requires the abandonment of the traditional Chinese development model, which has relied on financial repression. Hyoung-kyu Chey is Associate Professor of International Political Economy at the National Graduate Institute for Policy Studies (GRIPS) in Tokyo. His main research area is the international political economy of money and finance, with a regional specialty in East Asia. Image credit: CC by g0d4ather/flickr.